Here are the 5 books about I most recommend to those who want to understand the mathematical mind and philosophy. This is the textbook from the History of Mathematics course I took almost a decade ago now, and it is still one of the best and most thorough discussions of how mathematics developed over the past millenia. It starts in with Egyptian and pre-classical mathematics, explaining how simple tasks were complicated by a lack of mathematical tools and then how over time different tools were developed that led to quantum leaps in our understanding of the field. It’s quite a tome, with over 700 pages of details, but it is fully accessible to the non-technical reader. 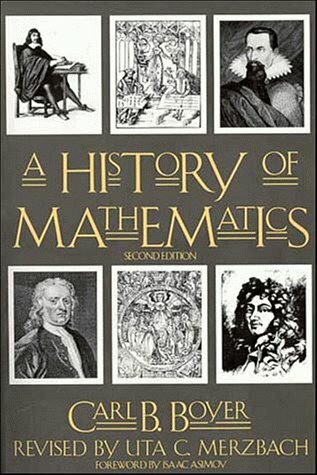 This is well worth having in any library and it can be read in chunks as each chapter covers a different aspect of mathematical history. I picked up this book at a secondhand store many years back simply because it caught my attention and was a good price. I thought it would be an enjoyable read, but I never expected to be as amazed and excited by the contents as I started to dig through it. This book takes some of the most important and paradigm-shifting theorems of mathematics and explains them in a clear and accessible fashion. Historical artifacts around the development of the theorems are displayed in a fun and pleasing fashion, keeping the importance of the discovery in context with the time. As well, most importantly, beyond explaining the theorems, the characters behind the work as shown and their lives are taken into context with the immensity of their work. This is a beautiful read and worth picking up if you want to learn more about the biggest theorems in mathematics. My professor for the history of mathematics course lent me his copy of this book and it was probably one of the most eye-opening reads I’ve ever had. I spent an entire weekend reading it cover-to-cover and then re-reading it again, devouring and absorbing all of the ideas and concepts within it. 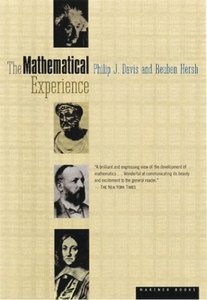 Without a doubt, this is the best book I’ve got on my library from the perspective of discussion what it means to be a mathematician and the experience shared by mathematicians worldwide. This book covers the entire gamut, from the philosophical to the social-emotional experience of a mathematician. It is well-written, concise and strikes a real chord with me. In this book I really felt that I was reading someone who got what it meant to love mathematics and get excited by it without delving really deep into difficult to process material. If there is one book on this entire list that I recommend going and purchasing right now, it is this one. Paul Erdös, one of the most prolific mathematicians of the 20th century would commonly refer to a proof that was singularly beautiful as being “from the book.” As in, “from the book of God himself.” This book is a collection of some of the proofs that many mathematicians think to be essential and important, while still be uniquely beautiful in their elegance. 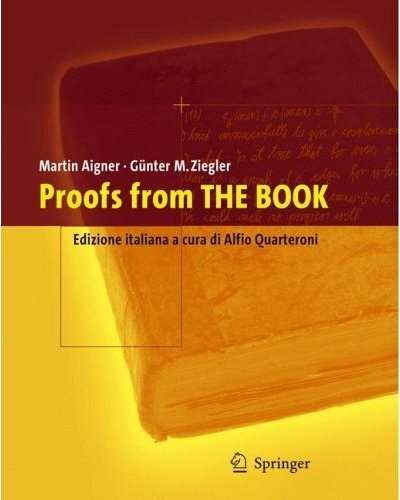 If you want a book which is still accessible, but allows for exploration of the theorems themselves in am ore rigourous fashion, this is the book for you. It’s clean and covers some of the best proofs in a very wide variety of fields. This books is probably the most advanced of the books on this list. It is however brilliantly written in the form of a discussion between a professor and their students. 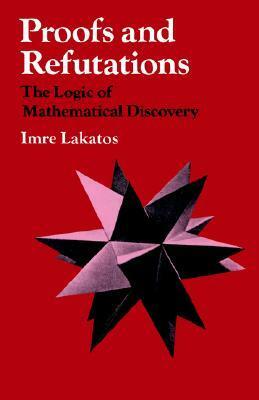 Lakatos weaves in and out over the process of mathematics, covering how mathematics is really done and evolves as theorems adapt based on a variety of very easy to understand techniques. If you, or anyone you know, is actually considering to go into mathematics as a profession, I would recommend reading this book. This especially includes teachers as it explains how working through the technique and philosophy can help with overall understanding and creative use of the new tools learned as you move forward. This is a truly wonderful book and can be a very quick read. ← If you want to be handy, you should know these. “Excursions in Calculus: An Interplay of the Continuous and the Discrete” by Robert M. Young (1992). Published by Mathematical Association of America. It’s a beautifully organized, beautifully explained tour of some fundamental proofs and concepts. Yeah, that one just barely didn’t make my list. It’s a beauty. I like the same books. Also check out “100 Years of Mathematics” by George Temple. It’s a delightful book. What is Mathematics? by Courant and Robbins. Thanks for this list, and the articulate reviews of each. I’m one of the outsiders, doomed to forever peer through a steamed-up window at the work of math and mathematicians, while trying to visualise and verbalise math concepts to myself that can probably be neither visualised or verbalised. Cheers. Not a problem. It’s such a great thing and there are good books out there, they just are surprisingly not as well known as they should be. Eric Temple Bell is the one who stoked my fire. Similar discovery in a little bookshop of “Mathematics: Queen and Servant of Science” astounded me with the clarity of vision and the ease of explanation of a master mathematician. 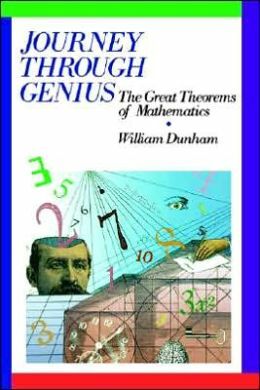 This book took a novice (me) from simple number theory to calculus and beyond in a manner which allowed me to believe all of mathematics is accessible. Life-changing. Oh, then you will absolutely love The Mathematical Experience. Highly recommend. Great list, thank you. Someone already mentioned Courant/Robbins, so I’ll just second it. I would add any of Keith Devlin’s early books. Also: Kline’s Mathematics: The Loss of Certainty. Of course Polya’s How to Solve It. And since you have Lakatos on the list, I suggest also: Benacerraf/Putnam’s Philosophy of Mathematics… and while we are at it, why not Flatland! Reblogged this on A Cube Of Sugar.